How to Make a Hand-Drawn Positive for Exposure Onto a Silk Screen. Drawing on Mylar can yield greater detail and can result in a greater range of expression than drawing directly onto a silk screen. Have a photo emulsion-coated silk screen ready for exposure. Choose any of the following methods or combination of methods to create original art for silkscreen printing. 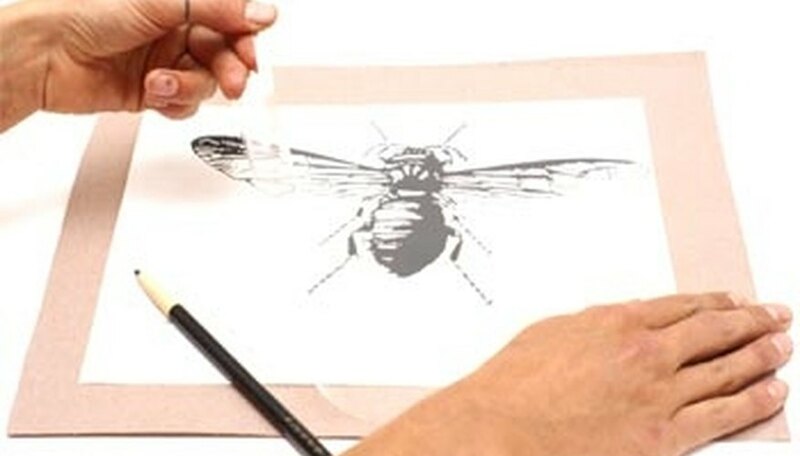 Select a transparent material such as Mylar (use plain Mylar if you're using a greasy drawing medium); a frosted Mylar or Lexan (this is bumpy, so is good for tonal work); wet-media acetate (best with ink); or a translucent drawing vellum. Place photographs, photocopies or other appropriated materials underneath your transparent material as a guide, if you wish. Choose a drawing tool: materials that work well and are very expressive are any kind of grease pencil (a No.1 litho crayon is perfect); Conte crayon; undiluted india ink with brush, pen and ink (as long as the line work is not too fine); black Prisma pencil (effective on frosted Mylar with a heavy tooth for shading); and virtually any other drawing material that does not allow light to pass through it. Know the materials and techniques that will not work. Don't use pencils, ink washes, shading of any kind, a felt marker pen, or very fine crow-quill pen-and-ink marks. 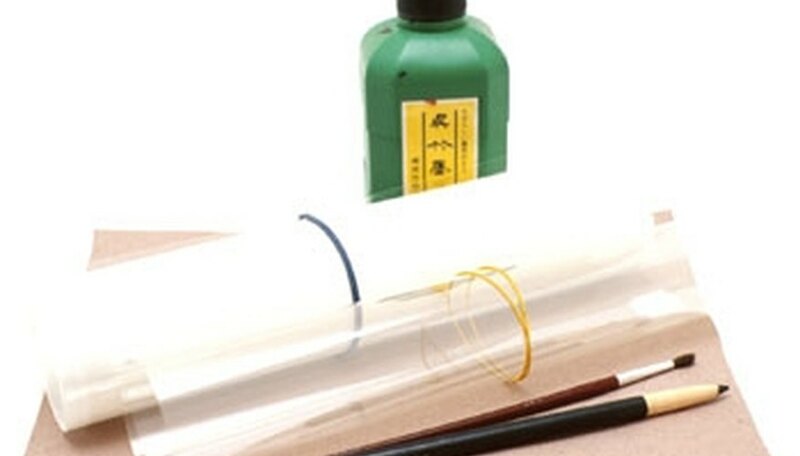 Keep this in mind - you are making a positive transparency, which means that any mark you make will eventually translate into a printed mark via ink through the silk screen. All the marks you make have to be done with drawing materials that do not allow light to pass through them. Overdraw - make the drawing heavier, especially in tonal areas. Remember that silk screen is not a low-resolution printing medium and can't reproduce fine lines or small particles of information, so do your drawing to capitalize on its strengths - ease of use, vibrant color and transparent layering effects. 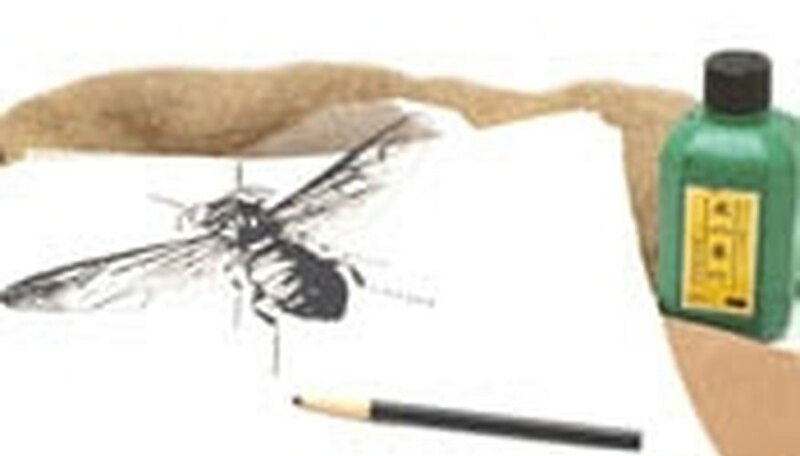 Draw on burlap or sandpaper to achieve tonal "shading" effects, or use the sandpaper to draw into areas. Use brush and ink on the wet-media acetate to create large areas of color ("flats") or to draw reductively by scratching lines into the ink after it dries to create highlights (like a scratchboard drawing). Working on a light table will help you see the density of the areas as you build them up, but it's not necessary. 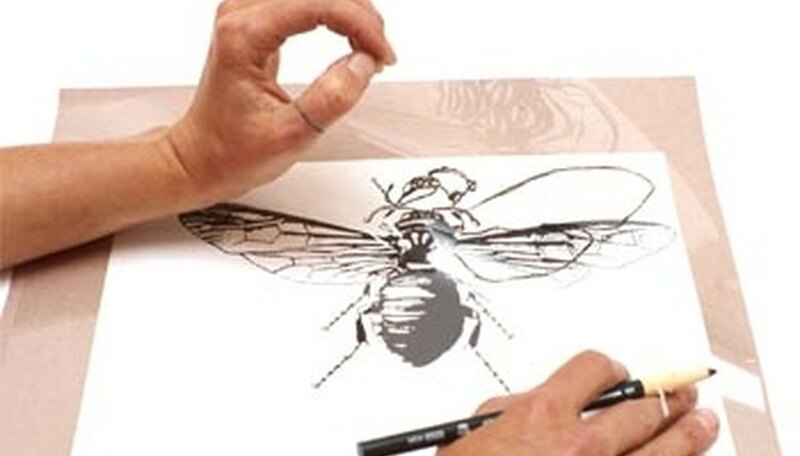 The drawing must be completely dry before the transparency is exposed. Dust greasy areas with a light coating of talc so the greasy material does not get on the screen. Build up areas in crayon areas and then scratch into them. Try using a rough-textured material underneath the Mylar when drawing with the crayon to produce tonal variations. Use only materials that are dense enough to prevent light from passing through them.